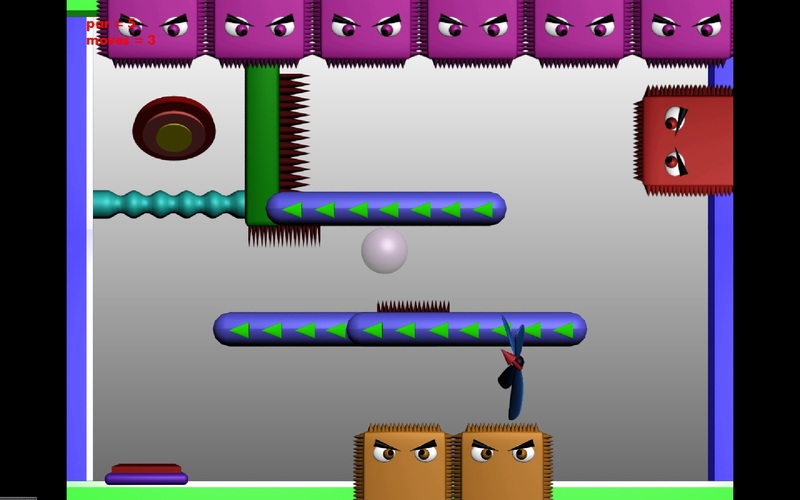 Steel Balloon is a 2D traversal-puzzle game in which you attempt to get your “steel balloon” through hazardous stages by controlling a fan and the transformation of a ball that can transform between steel ball and helium balloon. The fan can blow the balloon to the right or left, but can also pop it if it hits it while spinning. The fan can be moved to anywhere in the stage, but only while the ball is in steel form. These rules along with a simple par-medal reward system create a strategic experience that forces you to plan and think before acting.